Yoga classes are not just for the perfectly toned body, yoga is for everyone. These simple tips will help you get the most out of your yoga class and make your sessions sparkle. Try to arrive a few minutes early. You don’t want to spend your time getting rid of the stress created by rushing to class. Don’t worry about being inflexible. The only difference between a bendy person and someone who is less flexible is that the flexible person has further to go to get the same stretch. Every person’s body is different and you should only do what feels comfortable and safe. Don’t feel that you are being judged or watched by others. Stay focused on yourself, recognising your own abilities and limitations. Yoga is a journey not a destination. Enjoy the journey. Stop being so critical. Don’t get frustrated if you are unable to achieve the perfect Tree or unable to hold that Triangle as long as you would like. Nothing will ever be perfect, there is always room for improvement. That is why it is a yoga practice! 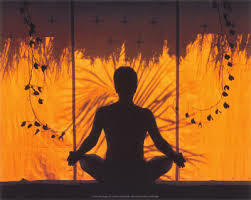 Retain that relaxed, calm feeling during the coming week by bringing attention to the breath periodically. Just stopping what you are doing for a minute or two and focusing on the inhalation and exhalation of the breath can bring back that feeling of peace.